April 21, 2009 - Make sure you like EcoJoes on Facebook to stay updated on green ways to save money and help the environment. Just click the "like" button below. Muchas gracias! Posted in food, green living, organic, plants, projects	on Tuesday, April 21st, 2009 at 10:55 PM. 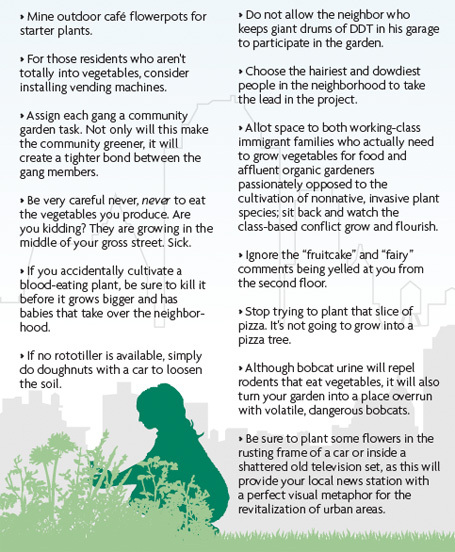 I love the idea of a neighborhood garden, where everyone could tend to it. Awesome idea!